Thanks for taking the time to check out my Creative Outlier Review; a newly released wireless Bluetooth headphone from Creative Labs. According to Creative, these super lightweight on-ear headphones should be the perfect companion for all your indoor and outdoor sports activities. They even have some neat built-in health features accompanied by an android app to assist you in getting yourself healthy and in shape! Don’t worry, I’ll explain everything later in the review. Creative Labs has been around a long time. They were responsible for the standardisation of PC sound way back in the nineties, with their legendary Sound Blaster series of sound cards. Even today the Sound Blaster name still continues to live on in the more modernised audio products from this company. The Creative Outlier is one of the lightest headphones I’ve ever seen apart from earphones of course. They weigh only 93gr. For Bluetooth headphones weighing less than 100gr, that has got to be some kind of record. I don’t know. But know this. You’ll literally not feel these things on your head! Let’s talk about the headband. Normally there has to be some padding to ease the pressure on your head. The Outlier has no padding. On normal circumstances, this would be a big negative. Not this time. Simple fact, these cans do not need padding on the headband. There’s no weight that’s pressing onto your skull. Very minimalistic but it works in this design! Furthermore, the headband is really durable. I’ve pulled it every direction I could think of and it never gave the impression that I was putting it under any stress. The headband is so flexible and does not give any squeaks whatsoever! Check out this video to see for yourself how flexible the headband really is! For portable sports headphones, I always prefer an on-ear design instead of an over-ear design. Why? Because I feel that when you’re running, biking or doing any other outside sports activity, you should always be aware of your surroundings. For your own safety, but also for the safety of others! 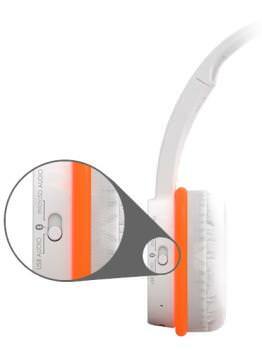 Since most portable headphones are closed-back, meaning the outside of the earcups are completely sealed, they have excellent sound isolation. An over-ear design would further enhance that isolation. The Outlier is equipped with small leatherette earpads which include memory foam. This makes sure the earpads are comfortable and will have a long lifespan. Sometimes the problem with an on-ear headphone is that your ears will start to hurt because of the constant pressing of the pads against your ears. Now because of the fact that these cans are pretty much weightless, they do not press hard against your ears at all. So I’ve never felt any discomfort in a way that I had to adjust or take these headphones off to release the pressure on my ears. And I’ve used these for several hours at a time. So how do these fit on your head? Thanks to the flexible and fully adjustable headband, you are guaranteed to get a perfect fit, no matter how big or small your head is. Even my 4-year old son got a perfect fit with them! 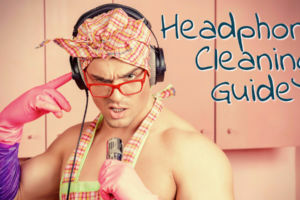 For a sports headphone, it is critical that they do not shift on your head while running or doing other kinds of activities. I’ve used them for pretty much all kinds of stuff. For my weekly runnings, working out in the gym, and even working outdoors cleaning up our backyard. I’m glad to say that even while running, I never had to adjust them to stay on my head. This is all thanks to the lightweight materials Creative has used here. They are made out of super lightweight plastic materials and although they may look a bit cheap at first, I can tell you they are very durable. They can easily survive the occasional accidental fall to the ground because of their light weight and sturdy build. This is handy because there’s no protection case provide. But to be honest, because of the small size and light weight I did not have any problem in throwing these in my sports bag! You just know they can handle it. 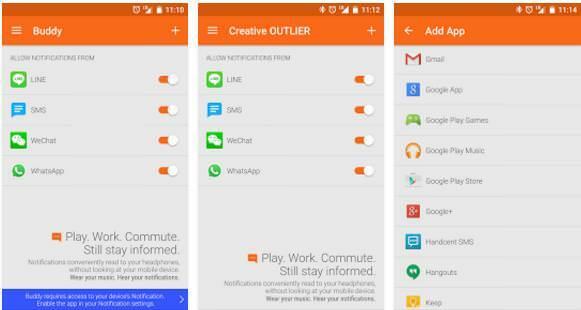 Thanks to NFC and Bluetooth 4.1 the Outlier has no problems whatsoever to connect to any compatible device with ease. If you have an NFC-compatible smartphone, the pairing is just as simple as holding the two devices against each other. That’s it! They’re connected. There’s also the USB Audio option. Connect the included USB-cable from the headphones to your PC/Laptop and you’re good to go. The big advantage of this is that this way you can use and charge the battery at the same time. 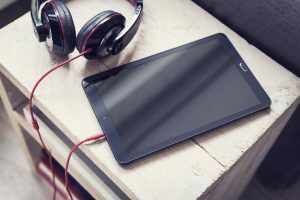 The Creative Outlier gets you around 10 hours of music via Bluetooth. That’s more than enough in my opinion. Besides the initial test to see how long the battery holds out, I never had them die on me. Because when I got home and sat behind my computer, I used the USB-cable to listen to my music and at the same time recharge the battery. This always guarantees that my headphones are fully charged every day I used them outdoors or when away from home. A full charge takes about 2 to 3 hours. So let’s see what kind of features the Outlier has besides the excellent Bluetooth wireless connectivity. 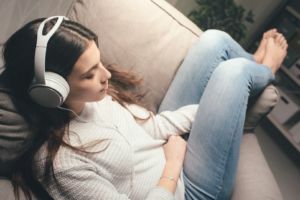 Android users can praise themselves happy as the Buddy app is a must have if you truly want to enjoy the social capabilities of these headphones. It’s pretty much a text-to-speech app that reads out any text messages or notifications. You can switch on options for Skype, Whatsapp, WeChat, Line, Viber and, of course, SMS. This app works flawlessly and I use it all the time! Strangely enough, this app is – for the moment – not available for IOS. Also, Windows Phone users are out of luck. It’s good to see that Creative included the newly HD Voice technology. HD Voice makes sure that every conversation is crystal clear. Luckily my mobile provider has started supporting this technology last month and I was able to test it. Voices sounded amazing! But even without the HD Voice, I can tell you that conversations sounded very understandable as they should be. So don’t worry if your current smartphone or mobile provider doesn’t support it. Anyhow, it’s good to have the option in the future. This is one of the coolest features. The Outlier features a built-in MP3 player which you feed music through the SD card slot in the right earcup. You can insert MicroSD cards up to 32GB, which should give you plenty of songs to listen to. Supported formats are MP3 and WMA both up to 320kbps, and WAV up to 16bit 48KHz. Music controls are also placed on the right earcup, so you can easily adjust the volume and select tracks. When connected via the USB-cable to your computer, the MicroSD card is seen by your operating system, which makes it easy to add & delete songs. No need to eject the MicroSD card out of the headphones all the time. I love this feature as it doesn’t require me to have my phone on me all the time. I can leave my phone in the locker room and still enjoy my music while working out. One unique and nifty feature is the so-called Lap Timer. Have you ever imagined what it would be like when your headphones would tell you your latest lap time and also the total time elapsed? Stop imagining it and start experiencing it with the Outlier! This feature records your lap times and tells them to you. How’s that for an extra motivation to push hard and break records! 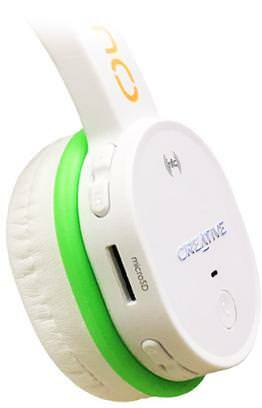 Creative provides six pairs of acoustic rings which you can put around the earcups to personalise your headphones. Now this is not all about looks. Without these rings the Outlier provides a balanced sound signature, meaning there’s no elevated lows, mids or highs. But if you want that extra bass to get you going, just add the rings and the Outlier will beef up the bass a bit. SBX Pro Studio Crystalizer™ Enhances sound by restoring low and high-end frequency curves lost during audio compression. SBX Pro Studio Bass™ Fills in the missing low-frequency tones for extra impact. SBX Pro Studio Smart Volume™ Delivers consistent volume levels to address abrupt volume level changes in music and movies. SBX Pro Studio Dialog Plus™ Enhances voices in movies and games for clearer dialogue over the sound track and ambient noise. If you don’t feel like doing manual adjustments, there are three different presets available: Music, Movies and Games. It is important to know that this software only works if you connect your Outlier via USB to your computer. The software does a decent job, but don’t expect any miracles. After all, it’s still just an EQ. So we know by now that the Creative Outlier is very comfortable and has tons of awesome features. But let’s take a closer look at how it sounds. 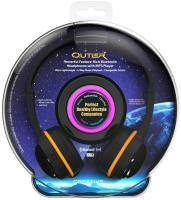 They’re powered by 32mm neodymium drivers with a frequency range between 20Hz and 22.000Hz. These do not need any extra amplification from an external amp to sound better. I did not detect any difference hooking them up on my Dragonfly and Objective2 amp. For a portable lifestyle headphone, the sound quality is very good. They have a pleasuring sound and work extremely well with modern music. During my workouts, I like to listen to upbeat pop songs and the Outlier really put a smile on my face. Mids and highs are pretty good. Vocals pop out as they should and the headphones do not sound harsh at all. One thing that struck me was the somewhat less powerful bass. This is because of the small 32mm drivers. Even with the acoustic rings attached, the bass response is a bit lacking. To be honest it didn’t really bother me when I was working out or doing my weekly runnings. It was only when I was sitting behind my computer and listening to some of my favorite songs, it started to bother me a bit. I would not use these for primarily home listening, as there are better options like the Superlux HD661, which I reviewed a few weeks ago. But for all my sports and other outdoor activities, these are champs! Yep SIX pairs of those rings in a variety of colors: orange, pink, blue, green, yellow and black. That should satisfy everyone’s taste! Although the bass is a bit lacking (there’s only so much you can get out of 32mm drivers), these are still very good sounding headphones and fit the purpose of a portable sports on-ear headphone perfectly! Having tons of useful features and being super lightweight and extremely durable, make these the ideal partner for every health and sports enthusiast. With a price just below $100, they are a bargain as you get a lot for your money. Hope you enjoyed my Creative Outlier review and let me know if you have any questions at all about these headphones. The Outlier truly lives up to its expectations and is a dream come true for sports and fitness enthusiasts. Creative has done a tremendous job in creating in what they call the perfect Healthy Lifestyle Companion! This headphone would be perfect for the sports minded person because it has all the features NFC/Bluetooth, rugged, SD card, and low price. I appreciate your honesty on the headphones not being able to reach the deep bass sounds. That would be a must on my headphones. I would not be using them for sports activity but for sitting in front of my computer and listening to music. I had a Creative sound card in my old Pentium 3 back in the mid to late 90â€™s with a 2.1 speaker set. I have gone through many pairs of headphones over the years. Koss, Creative Gamer, Bose, and Sennheiser to name a few. 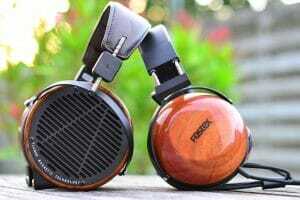 You mention at the end of the review to check the Superlux HD661; I will check that later. Hey Jimmy, if you’re a bass lover be sure to check out my recent review on the Beyerdynamic DT770 Pro, as these are true bass cans. Great piece of work there my friend, this is very informative, not to sound boring at all because I like the way you brought out the brand history, making a connection there, so that people can make the connection, as those of use remember, this is a quality piece of headphones, and appreciate how you let us go to the conclusion as well. The fact is not everyone will read and entire article. Wow! Those look cool. I especially like the lap timer. It’s hard to find good running headphones because the earbuds always get all sweaty and the big headphones usually make this annoying clicking sound when I run, but one’s look like they were made for running. Thanks for the review! 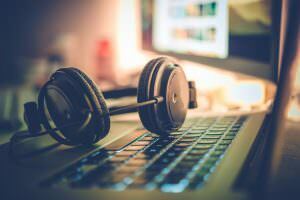 Have you seen the “Vi” headphones by lifebeam? they are AI headphones for fitness, kinda like that movie “Her”. I hope you get a chance to review them. Thanks for the tip. I will certainly look those up to see what they’re all about. The design is no only brilliant and very beautiful but the idea behind these headphones is just pure genius! great looking headphones with a built-in MP3 player. Like yourself, I am not a fan of in-ear phones when working out (the cable is annoying and can get caught) So headphones without a cable is such an awesome idea. Hi Derek, they don’t have noise cancellation, but they’re pretty good at keeping noises out. Not totally as that is not intended. You want to still hear a little bit what’s going on around you, when doing sports activities. I read your about page and I can say that I am like you were before. I am just using the cheap 15â‚¬ headphones because they are enough for me. Usually I use headphones only for listening to the teachings. What do you think, is it important to invest for more expensive headphones like Creative Outlier if I just listen to the teaching? Sometimes I also listen to some music to give me some motivational boost. Btw, I like your page, it’s very nice! When did you start this website? Whenever I read wireless, I sigh because I think that you need to be near to your stereo system or your phone to get your music to play. It is great that these come with an MP3 player and you can listen to all your music on the go. Best part is that they look kiddie resistant. Hope this is the case as my daughter is saving for a good pair of head phones, and these look ideal. Yep that’s a big reason I love these headphones. I can just leave my phone and put the music directely on the Outlier. And you’re right, these are pretty much indestructable. Also the light-weight really helps for kids. Awesome review. I have been searching for wireless headphones for a while now and these seem great. I really need something that will stay put in the gym and while I’m running. You mentioned that they’re lightweight so I assume they don’t fall off if you’re moving around a lot? I tried some buds that just fell out of my ears when I was running. Thanks, Taylor. I use these all the time when running outdoors or doing my workout in the gym. They are so lightweight at 99g. that they’ve never fell off my head. You hardly feel that you’re wearing them. These look like excellent headphones. I bet they are such good sound quality. I would love to put these on a just zone out to music! The fact that they are bluetooth and wireless is awesome too. So it would be much easier to use them whilst working out or cycling. Thank you Hannah. I have them for a while now and I still enjoy them immensely when I’m doing outdoor stuff. I have been looking into getting a pair of these for myself as I need something portable when I’m working out and I can’t stand earphones. What I’m wondering though is how sweat resistant are these? As I’m worried that sweat might ruin them, it has happened before. Thank you. 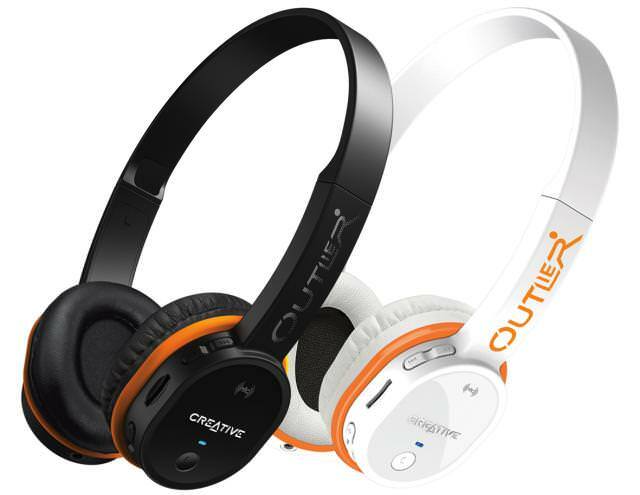 The Creative Outlier seems like an awesome pair of headphones. Nice and sleek edges and with 10 hours of battery life, I think they are a great candidate for my next purchase. Thanks for the review. I will make sure to come back for more cool stuff like this. Hey Donald, you should indeed get around 10 hours out of them. If you’re listening to loud volumes the battery life can be a bit shorter, since that requires some more power. My primary use for headphones is actually a headset. I work and dictate to my computer. So, these won’t fit my lifestyle except when I’m working out on the machines at the gym. They work pretty well for this application. Since I’m usually listening to downloaded podcasts, I can just veg on the machine while listening. I’ve never been much for music in this application but these handle the voice ranges quite well. Thanks for this thorough review. You’re welcome 🙂 They have an excellent midrange and voices are very clear, which is very convenient when making phone/skype calls with these on. i was looking for the outlier review and finally found this review….Review is very clear. i almost finalized this headphone. but my doubt was the sound clarity. My top most priority is the audio output. I prefer wireless but if sound quality is good then i dont mind going for wired one. can u please tell me about the sound quality when compared to other headphones both wireless and wired in this price range? if any other headphone is available better than this in audio quality , please suggest me. my main usage will be for watching movies in my computer. Also have u used the outlier with the software suit.? how is the quality. sorry for firing up with many questions. i wanted to know the expert opinion. For portable usage (gym, running, commuting, gardening,…) the sound quality is very nice. As I mentioned in the review, the bass is not very strong, but it’s still okay. This is a compromise here to keep the headphones super light and small. 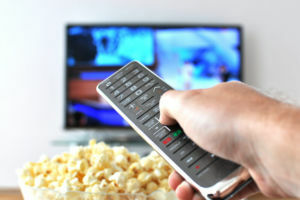 So if your main usage is watching movies on your computer, then these are maybe not the best for you. I’ve added the Sound Blaster Control Panel software to the review. Thanks for pointing that out! It works great, but it’s just a fancy EQ. I’m a fervent Netflix user and also do most of my viewing on my laptop. For this, I use my Superlux HD661 and I can highly recommend it! It has great sound quality, good bass and treble not too aggressive. It also has the tendency to open up the soundstage, which is awesome with movies, as they sound very spacious. Please check out my review. I hope this helps. If you have any other questions, just let me know. Didn’t expect such prompt reply. Thank you very much. can u please suggest me which is better in superlux ? I can stretch my budget beyond HD661. Around $100, here superlux HD661 retails for $60. The cool thing about it is that it doesn’t easily sound congested when a lot is happening on the screen. Very useful in big action scenes where you hear explosions, car crashes, gunshots and all kinds of stuff at the same time. Some of my more expensive audiophile headphones have a difficult time with that. 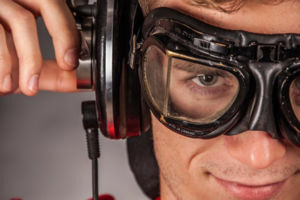 If an Open headphone is not an issue for you (they leak out the sound and could disturb people around you), you might wanna check out the Sennheiser HD 598 or even the HD 558, which has 90% of the sound quality of the HD 598 and costs less. Some of my recommendations are a bit over $100 but keep an eye on Amazon. 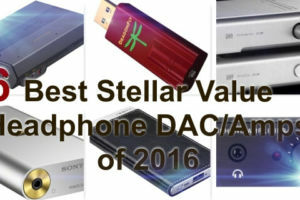 They often have great deals (especially on the HD 598). Thank you Jurgen. You are always helping out people from the pool of confusion. I will definitely look into it and will let you know. Btw, my friends are proposing me Audio Technica m40x. i will have to go through one by one. Will decide soon. oh yea…i just found that in your review. BTW, by any chance u have used Superlux HD 668B. whether it will perform like HD661 when there are many sounds are playing. without any crowding the audio?. I haven’t got the chance to try them, but they seem to be very good. Looking at the reviews on Amazon, people seem to be very happy about them. These are some of the nicest headphones I have ever seen. I have been looking for a nice set of Bluetooth headphones for when I run because I’ve bought several pairs of the cheaper ones and they seem to break after a month or so. Time to get me a nicer pair like these – I think they are now at the top of my list! Wow these headphones look beyond awesome. My brother has bluetooth headphones and he says he would never go back to wired ones. The memory foam padding sounds super comfortable as well. And I could see myself using that text to speech app if I was listening to music at the gym. I can relate to your brother. Bluetooth headphones are becoming very affordable these days and they have so much extra to offer. For a Lifestyle Headphone I would always choose wireless before wired. Love the review of these awesome headphones! I am sad though that there is no app for iOS.Maybe they may consider bringing it out in the future. As I was reading the review, I was thinking of asking you, ‘what do I do if my MP3 player does not have Bluetooth? Then as a read further down, you answered this question for me……the SD slot! That is a really cool feature, I could upload my songs onto the SD slot and I am good to go….. The integrated MP3 player is a real cool feature. Actually, it’s a lifesaver for me, because I’m always cleaning up our garden during this time of the year. And when I’m working outside I never take my phone with me. It’s pretty strange there’s no IOS app, but these headphones are still quite new, so maybe in the near future. It has been a while since I have seen a new review by you. Its great to finally be able to see one. These headphones are great for sporty people and for those who just love the outdoors. It is great that its lightweight design does not sacrifice durability and ruggedness. I am however rather appalled by the “acoustic rings” concept, as it is the first I have heard of. Don’t you think its rather cumbersome to have to attach such accessories to just get more bass? I’d rather just make a simple tweaking of EQ on my music player to achieve that. But nonetheless, its connectivity features, combined with the extended battery life, makes it a worthwhile competition to other wireless headsets in the market. Plus, having memory foam is a definite plus point as well. Great review, will surely recommend it to my friends! I like the detail and thought that has gone into this review, all the things I need to be answered are here. I listen to a lot of music and podcasts and, to be honest, I keep breaking them so I get through a lot of headphones. I think it’s because the headphones I use are small and frail and just break from wear and tear. I think it’s time I invested in something more high quality. Your review is very detailed. After reading this review, I am considering buying one tomorrow. I especially like the idea that it has a built-in MP3 player, which means I can put on the headphone and ride my bike without the danger of the wires getting caught. I preferred over the ear headphone more than on-ear phones; they are more comfortable. But as you say, this headphone is comfortable, it might prove me wrong. I wouldn’t know until I try it out, isn’t it? The price is not bad, it is hard to get a pair of quality headphones for under a hundred dollars. I have 3 pairs of headphone already, but I will buy one more. Hi Stephen, I also prefer over-ear headphones, but only for home listening. When I’m outdoors I always put on my on-ears. 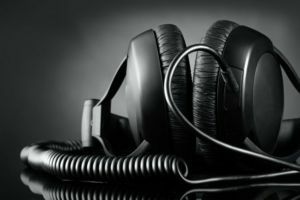 Besides the fact that on-ear headphones are usually lighter, there’s also the safety issue to think about, as you can read in my review. Anyhow, I’sure you’re gonna love these. They’re my new favorite lifestyle headphone! These sound like really great headphones! They are a little pricey for me though since I’m on the lookout for headphones for a 10 year old. Would these work for gaming? If not, do you have any recommendations for that purpose that are lower on the price range as well? 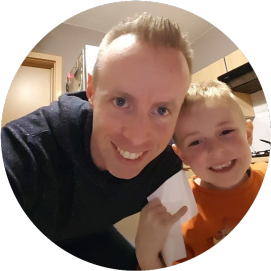 Hi there, if you’re looking for a kids headphone, check out my review on the kidz gear headphones. The Outlier can be used with games. You just hook them up to your computer. According to Creative, these should also be compatible with the PS4, but I could not test that since I don’t have a PS4. If you don’t need the Bluetooth and all the other features, I do recommend the Superlux HD661, which costs less than $35, but is a great sounding headphone. Thanks! I will definitely take a look at your Kidz Gear review.